Dr. Gary Oliver was born in Phoenix and grew up in Mesa, Arizona. During high school he found his passion for Veterinary medicine when he began as a volunteer at a Small Animal Veterinary Clinic near down town Gilbert. After attending both University of Arizona and Arizona State University for undergraduate studies, he earned his veterinary degree from the University of London, Royal Veterinary College. 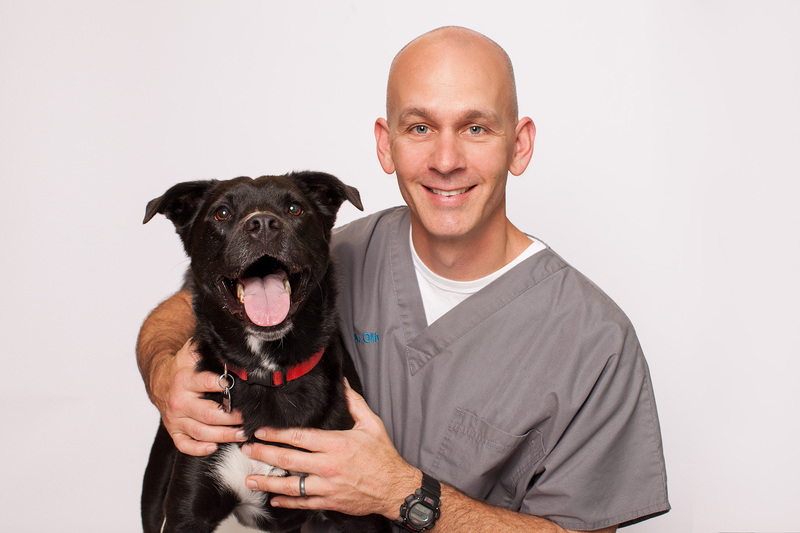 Dr. Oliver has been practicing Veterinary medicine in the East valley, primarily Gilbert and East Mesa since 2000. He prides himself on patient follow up, client communication and enjoys working with local rescue organizations. Dr. Oliver is married with 4 children. He and his wife spend most of their time caring for the many animals they have at their home which includes dogs, horses, goats, chickens, ducks, a donkey and a pot belly pig. Dr. Oliver also loves traveling when he can and enjoying the great outdoors. Dr. Sam is an Arizona native raised in Sierra Vista. He joined the U.S. Coast Guard after graduating high school. Afterward he attended Northern Arizona University and then went on to Colorado State University where he received his veterinary degree in 1988. In 2004 he opened Higley Road Pet Clinic. Due to his kind and gentle nature, he quickly developed a wonderful clientele for a very successful 12 years. He sold the business in 2016 to Dr. Oliver to enjoy more time with his family, his 4 dogs, and doing the things he loves, such as kayaking and wake boarding. 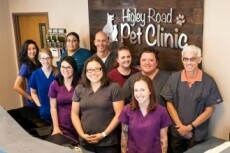 Dr. Sam continues to practice at Higley Road Pet Clinic and is one of our most loved veterinarians. Dr. Haruno Graham received her Bachelor of Arts at Colorado College and then her veterinary degree from University of Illinois. After completing an internship at VCA Animal Referral and Emergency Center of Arizona, she practiced small animal medicine in Portland, Oregon, but returned back to Arizona in 2011. She joined Higley Road Pet Clinic in 2017 and her emphasis includes preventative medicine, endocrine disease, and surgery. Dr. Graham is passionate about her work and provides the best quality veterinary care. Outside of work, Dr Graham spends her time with her husband and two kids, caring for her own animals, and enjoys traveling and reading. Claudissa graduated from University of Arizona with a bachelors in Veterinary Science and went on to get her associates in Veterinary Technology from Penn Foster in 2004. She began working for Higley Road Pet Clinic in 2005. Claudissa also became a certified technician in 2016. Outside of work Claudissa spends time with her husband and two dogs , Ragnar and Godric. She enjoys reading, watching movies, and spending time with family. Melissa is originally from western Connecticut and moved to Arizona in 2011. She started her education in 2011 at Pima Medical Institute and graduated in 2013 as a Certified Veterinary Technician. Melissa joined the Higley Road Pet Clinic in 2017. She is takes great pride in her job! Outside of work, Melissa enjoys needlepoint, reading, and caring for her guinea pigs, Zoe and Alice. Sonia is originally from Chihuahua, Mexico and came to Arizona when she was just 3 years old. Sonia joined Higley Road Pet Clinic in 2017 and is a wonderful asset as she is fluent in both English and Spanish. She has been working in the Veterinary field as a Receptionist since 2008. Sonia is very detailed oriented and enjoys working with all of our wonderful clients and their pets. Outside of work, Sonia loves spending time with her husband as well as traveling to visit her two sons and her three grandchildren. Sonia also has two very spoiled dogs named Juicy and Lilo. Caryn is an Arizona native and has been working in the pet field since 2004. She started out as a kennel attendant in high school while gradually working her way to veterinary technichian. In 2011, she graduated from Mesa Community College with her Associates Degree in Science. Caryn is a very organized, hard working employee. Aside from work, Caryn enjoys listening to music, spoiling her shih tzu named Pickles, and traveling whenever she can. Christina is originally from San Diego, California and moved to Arizona in 2009 after completing 7 years in the U.S. ARMY. She Attended PIMA Medical Institute and completed her Associate’s degree in Veterinary Technology in 2017. Christina joined Higley Road Pet Clinic that same year. Outside of work, Christina enjoys spending time with her husband, 3 dogs and Mini pig. She enjoys traveling, watching movies, and spending time with family and friends.